At I.S. Sundries, we provide you with a remarkable assortment of florist supplies. We help you add extra flair to your blooms with our wholesale ribbons which come in a variety of colours, styles and materials. For your wrapping solutions, use our superior flower wrapping paper to creatively design elegant wedding bouquets and then add style and glamour to your floral arrangements with themed floral ribbon. Our superior cellophane wraps are fantastic for wrapping flowers, and Kraft papers are perfect for the high-class packaging of products like festive flowers. Furthermore, you can choose from our incredible selection of jute rolls and transparent ribbons to create an executive appearance in your floral display. Supplied in various sizes, thicknesses and colours, our cello wraps present all the versatility you need. 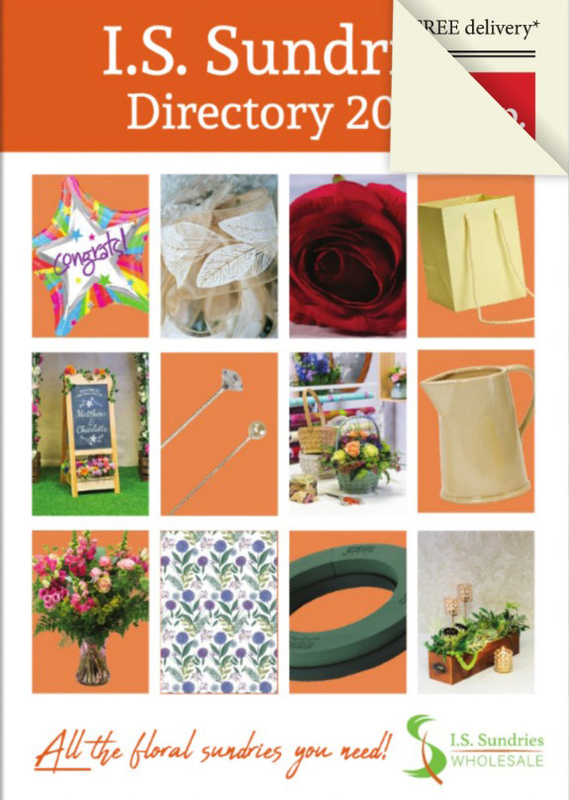 We stock everything you need to design everyday bouquets and floral arrangements. From shop displays and packaging to wrapping for your floral supplies, I.S. Sundries is here to keep your floral arrangements looking attractive and beautiful.